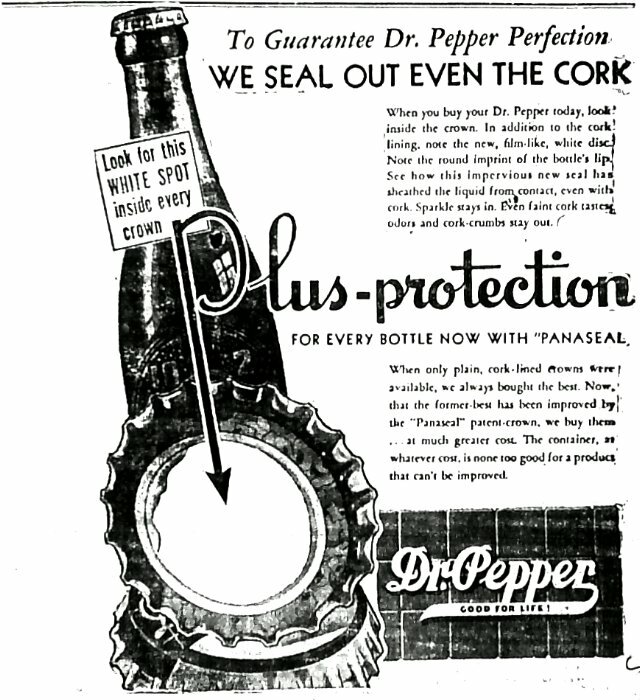 Of course after the acquisition of the Tip brand, the Dr. Pepper Bottling Company was bottling Tip under the name of The Tip Company in the classic 6oz bottle and a new 10oz red & white labeled bottle which was introduced in 1948. 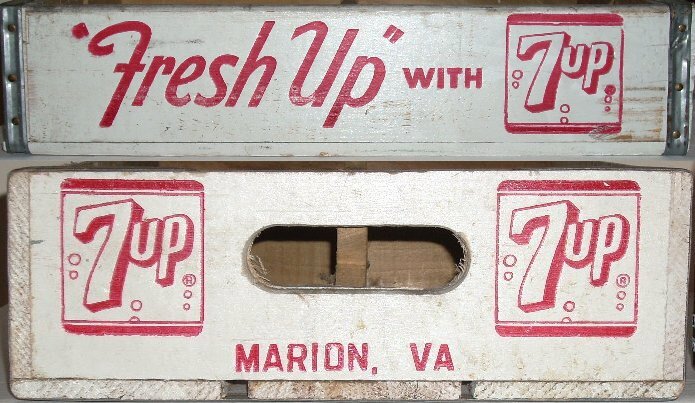 (2) An interesting twist is that the Sun Flower Beverages bottles are also stating that they are being bottled by the Tip Bottling Company of Marion, VA as well, and the brand is being franchised to other bottlers. 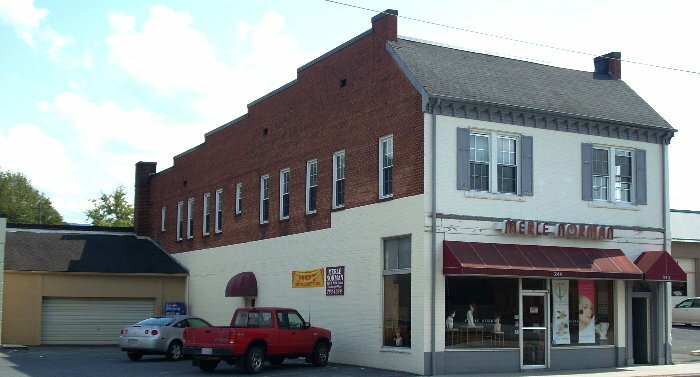 The most noteworthy being not only N. S. Forester’s own bottling plant in North Wilkesboro, NC, which had been bottling a Blue & Yellow labeled version of the bottle since the early 1940’s, but Greenville, NC with its Brown & Yellow label version, and Norton, VA which was just the usual Blue & White version that has The Tip Bottling Company Norton, VA on the back. 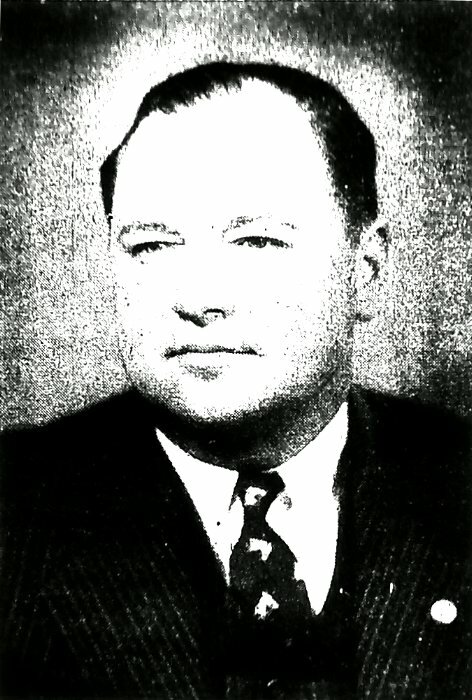 The association of Clay Church, and the Dr. Pepper Bottling Company of Marion, with the Tip Corporation ended around 1957 when the Corporation was on the brink of bankruptcy and was saved by its President Bill Jones, a group of investors, and a new brand to franchise, Mountain Dew. 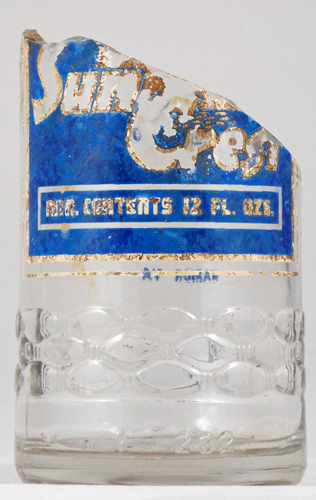 Sun Flower Beverages’ bottle was completely redesigned, and now featured a female character with a sun flower face and the colors changed to yellow and white by 1959. 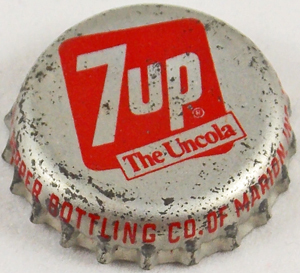 At some point the company picked up the franchise for bottling Seven-Up, but things couldn’t have been doing too good for the company during the 1960’s. 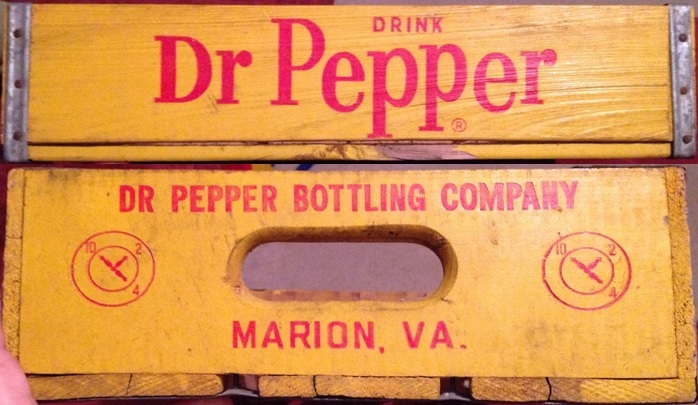 February 24, 1971 the Pulaski Southwest Times announces the purchase of the Dr. Pepper Bottling Company of Marion by the Marion Bottling Company. (3) The purchase was made from the trustees of the N. S. Forester Jr. estate, and no mention of Clay Church is made. (3) The plant was closed and all the operations were being moved to the Marion Bottling Company plant, along with its employees at least on a temporary basis. 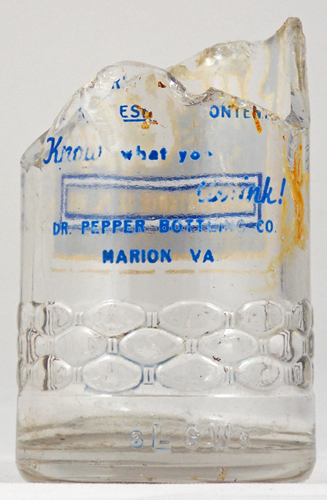 (3) Marion Bottling Company would take over the Dr. Pepper and Seven Up franchises, and thus ended the history of the Dr. Pepper Bottling Company of Marion, VA. 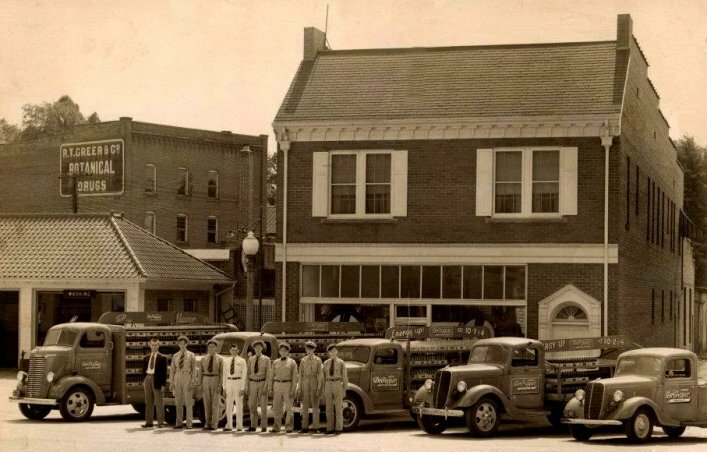 The second location of Dr. Pepper of Marion as it was the day it opened in 1942. 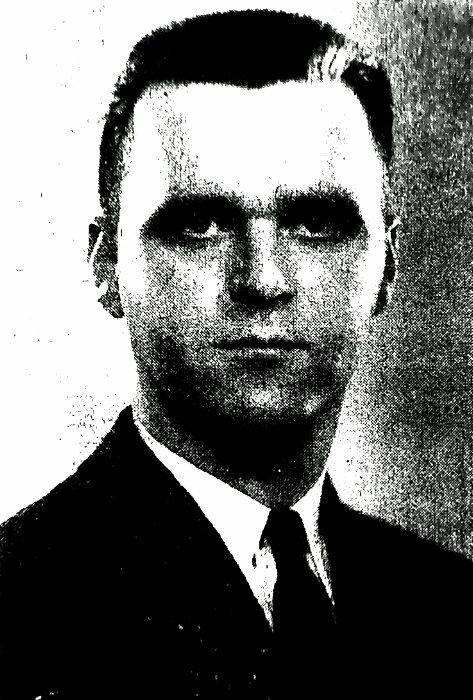 On the left is Clay Church and on the right is N. S. Forester, Jr. from the Smyth County News of March 17, 1942. 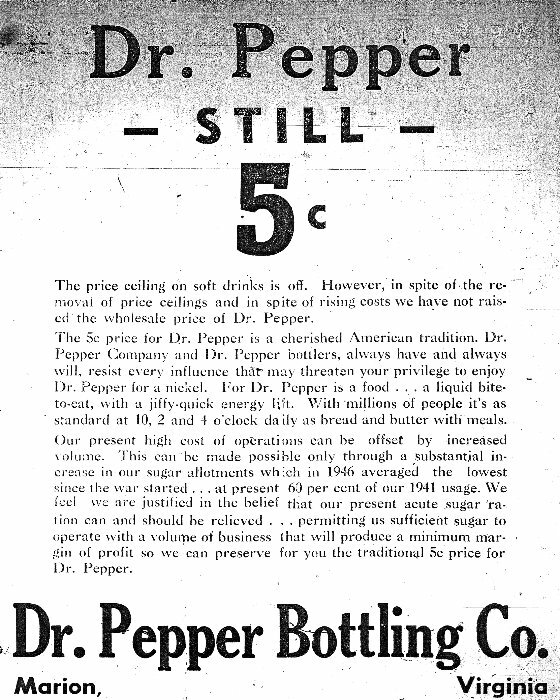 Dr. Pepper of Marion ad from Janurary 1939. 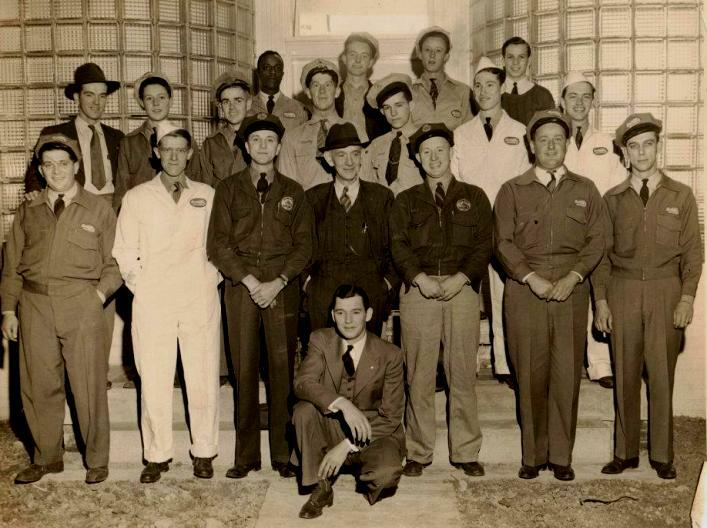 A photo of the Dr. Pepper Employees standing outside of the second plant during its opening in 1942. 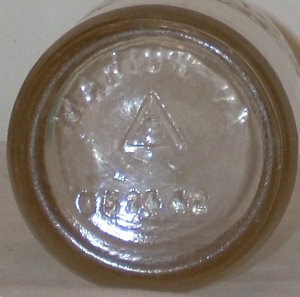 10oz Sunflower Beverages bottle dated 1950. 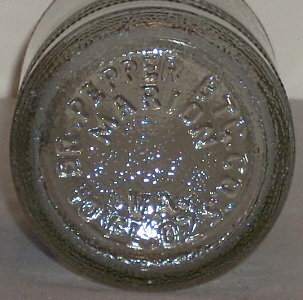 The interesting thing about this bottle is that in 1950 the brand is still being bottled by the Tip Bottling Company, which is really being bottled by the Dr. Pepper Bottling Company of Marion; however, this bottle has the Dr. Pepper Bottling Company embossed in the bottom, and no mention of Tip. 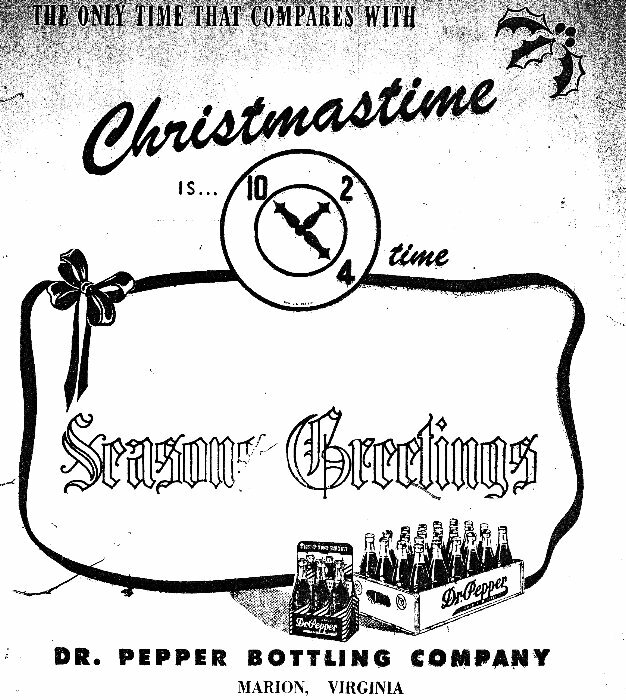 December 23, 1948 Christmas ad from the Dr. Pepper Bottling Company of Marion, VA.
6 1/2 oz Dr. Pepper bottle dated 1951. 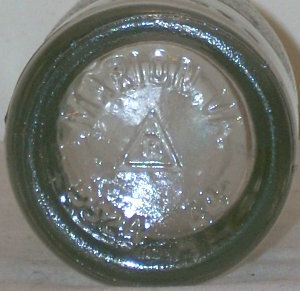 Notice that this bottle has the earlier clock design of the "Good For Life" bottles; however, has the green color of the later no clock bottles. 10oz Sunflower beverages bottle dated 1955. It appears that Dr. Pepper has stopped bottling the brand for the Tip Corporation by this point. 10oz Sunflower beverages bottle dated 1957. So far this is the latest one of these I’ve seen. An interesting thing on this bottle is that the sunflowers on the neck are actually upside down. 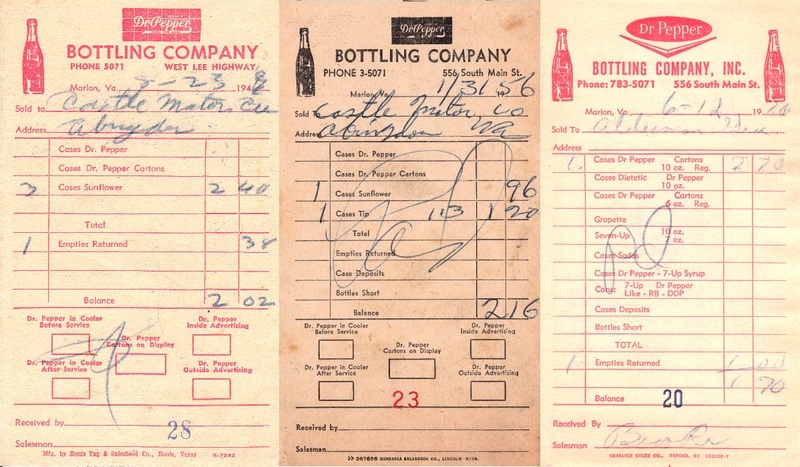 Dr. Pepper of Marion reciepts which include Sun Flower Beverages, Tip, and Seven-Up. 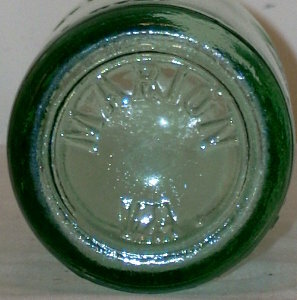 10oz Sunflower beverages bottle dated 1961. 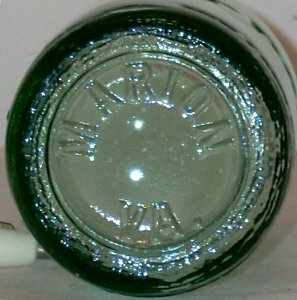 The white peddle bottles are the first version of this bottle, and the more common yellow pedal version are the later versions. The colors were inverted at some point after 1963 for unknown reasons. 10oz Sunflower beverages bottle dated 1963. 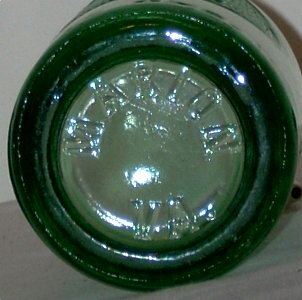 You’ll notice that there is an embossed “C” on the neck of this bottle below the “Sun Flower” label on the neck. There is also the town name “Clinton, SC” embossed on the bottom. It appears that this is a manufacturing mistake. 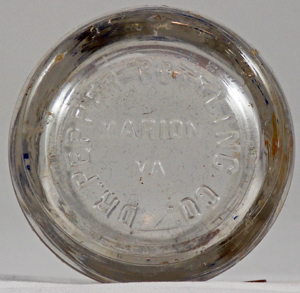 The bottle that the Sun Flower ACL was applied to is actually a bottle used by the Canada Dry Bottling Company of Clinton, SC for their Sandy’s Chocolate soda. 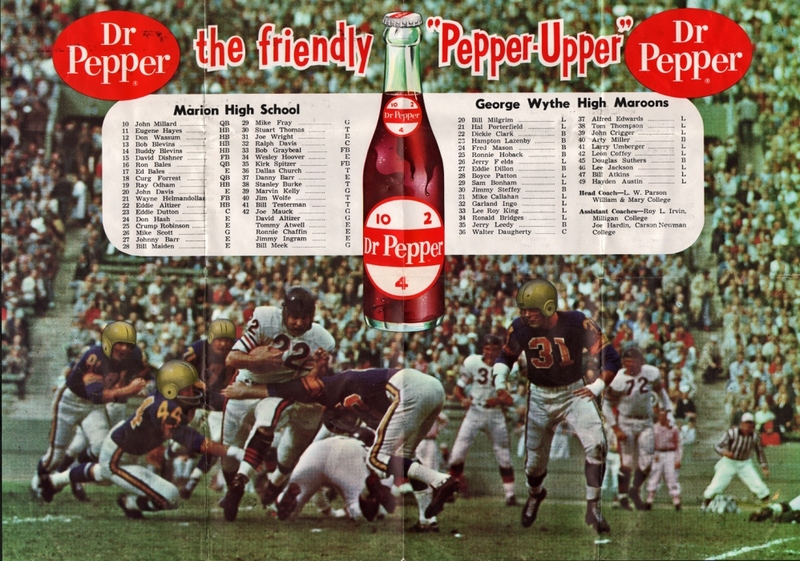 October 28, 1960 center ad for a Marion High School football program by Dr. Pepper. 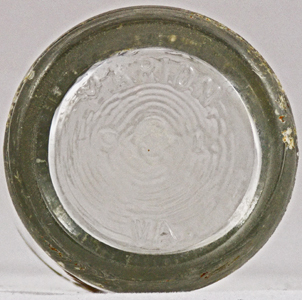 This bottle cap represents the only piece of artifact evidence that the Dr. Pepper Bottling Company was bottling Seven Up as Wythe Hull told us in his book.